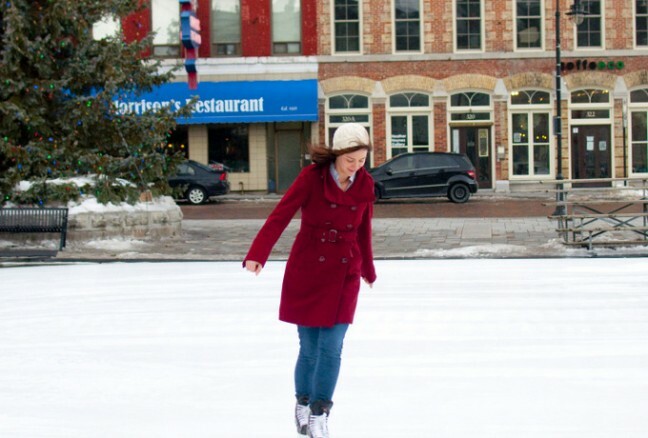 One of my favourite things about Kingston is the ability to be active and enjoy the outdoors all year round. When the sun sets so early during the winter months it can be difficult to get the fresh air and Vitamin D that we enjoy in the summer. Enjoying Springer Market Square rink all to ourselves. After lamenting over the short winter days a friend and I met up at Springer Market Square over lunch to catch up after the holidays and get some fresh air. Having a free community rink downtown is a great excuse to get out and be active. We brought along some hot chocolate to enjoy during the Zamboni breaks. Enjoying the freshly groomed ice at Springer Market Square rink. 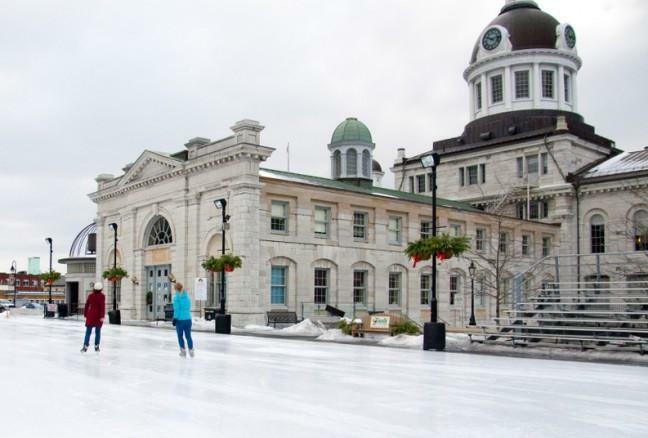 Springer Market Square is the largest rink but Kingston also boasts free skating at two downtown parks. 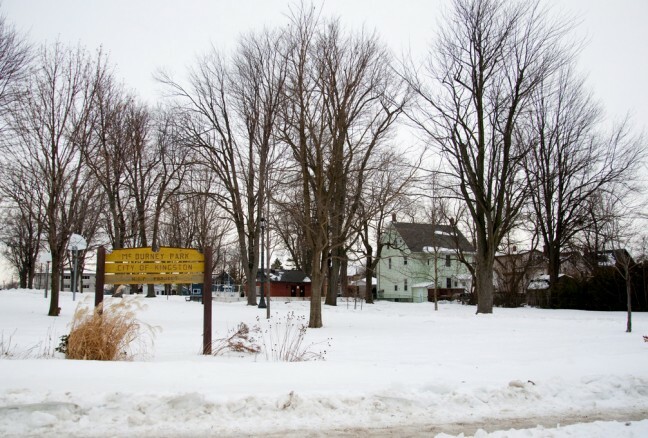 McBurney Park, located at Ordnance and Clergy, has a hockey rink in addition to a recreational rink for those a little intimidated by flying pucks. The recreational rink (no hockey allowed) is a bit tiny but it’s big enough to get some exercise if you live close by. If you’re itching to play some “shinny” just head on over – there are usually plenty of players to join in with. 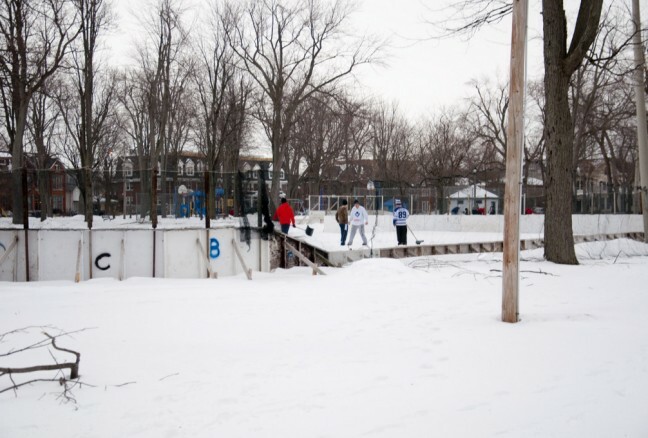 The McBurney Park Neighbourhood Association has done a great job improving the park – the rinks recently gained new floodlights through the group’s efforts. I’m looking forward to seeing the rinks in full swing when the City begins flooding them. Some eager hockey players attempt to clear one of the hockey rinks at Victoria Park. Victoria Park, located closer to Queen’s University at Brock and Frontenac (not located on Victoria Street funnily enough! ), is “shinny” central with two hockey rinks plus a large skating-only track circling the rinks – the best of both worlds! 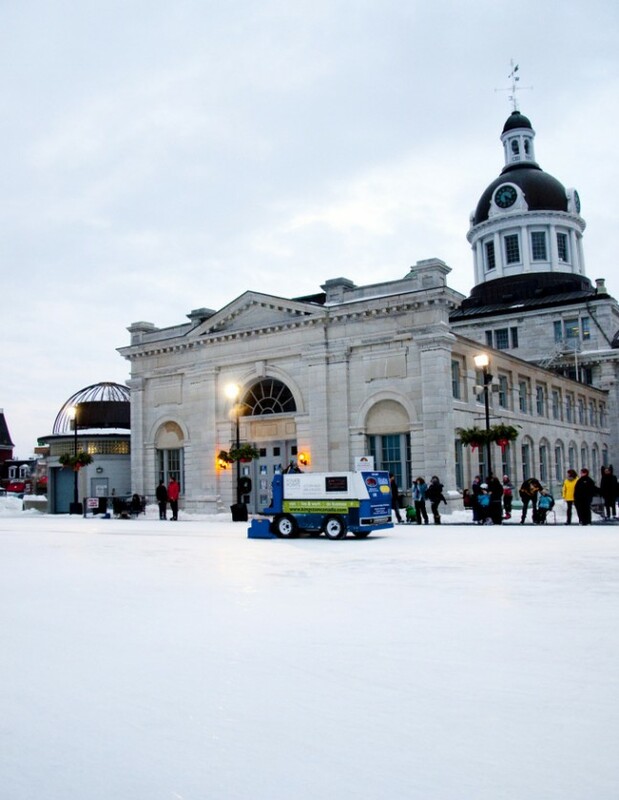 Both Victoria Park and McBurney Park have their own heated changing huts to change into your skates – adding a bit of luxury to your skating experience. Skaters watch the Zamboni – an event in itself! 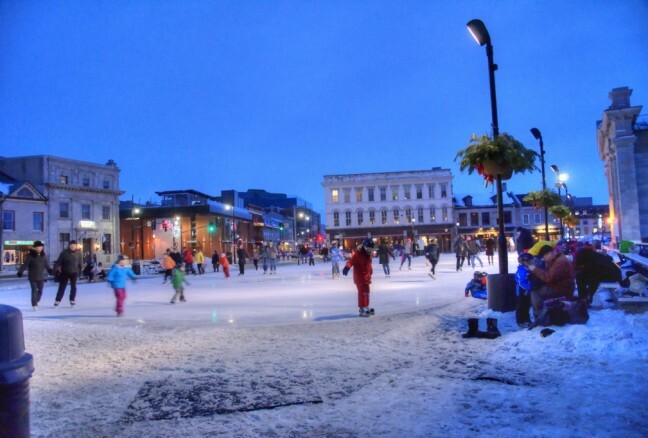 Springer Market Square, however, is the most luxurious rink in town with hourly Zamboni service, nearby washrooms and (only during Feb Fest) Beavertails – which are admittedly my favourite part of Feb Fest. This year Feb Fest will be February 6th to 9th 2014 and includes live music, ice sculptures, figure skating, and a number of hockey games. Skate rentals are available during Feb Fest right at the Square and at other times they’re available at Trailhead (262 Princess Street). If you didn’t plan ahead and bring a thermos of hot chocolate, both Sipps and Coffeeco are located right on the Square. If you’re looking for a more upscale experience Olivea and Casa Domineco are both ideal places to enjoy a glass of wine and watch the skaters go by (the arrabiata at Casa is highly recommended if you don’t mind a little spice). My friends and I ended our skating expedition with lunch at the Tir Na Nog – an Irish pub overlooking the Square. The steak and mushroom boxty was the perfect “apres” meal. 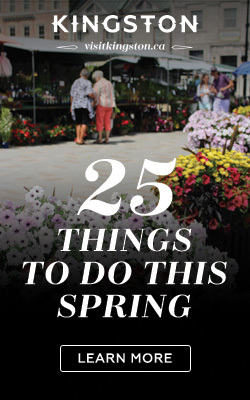 Though the days are short the sunshine seems to last a little longer when you get to enjoy the fresh air in historic downtown Kingston.